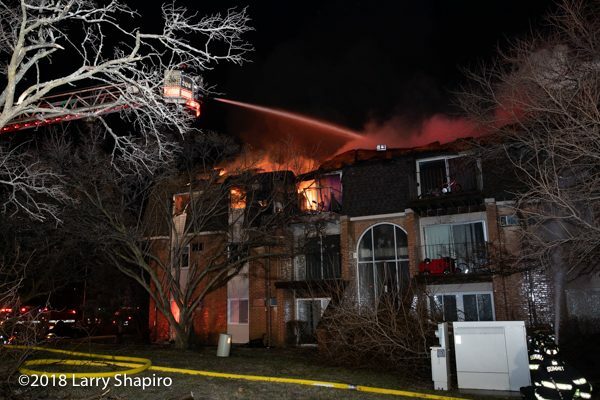 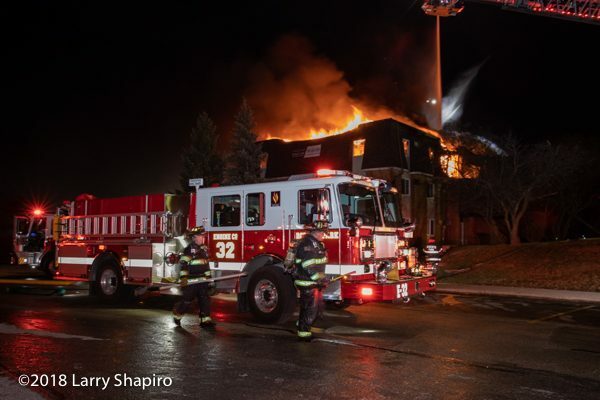 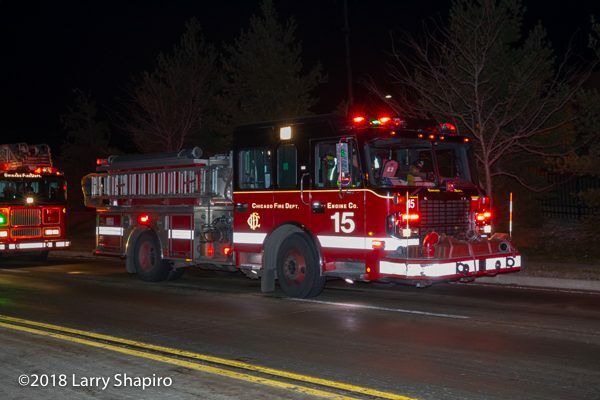 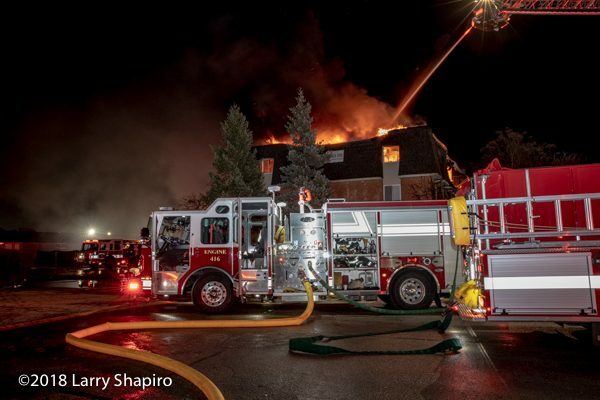 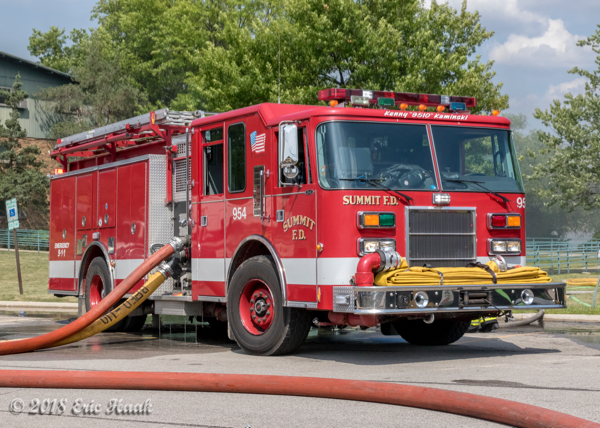 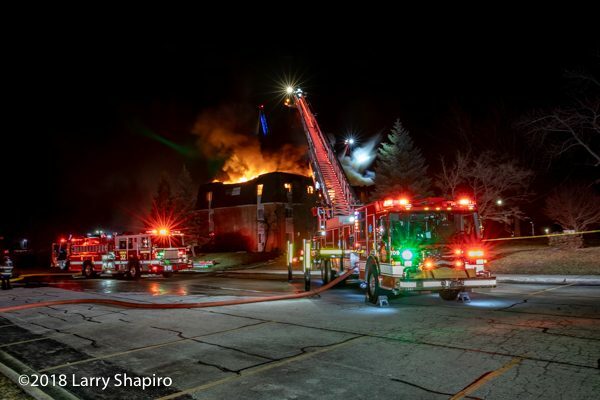 The Roberts Park FPD (IL) was called to 8701 W. 85th Place in Justice Sunday night (12/30/18) for fire in a 3rd floor apartment. 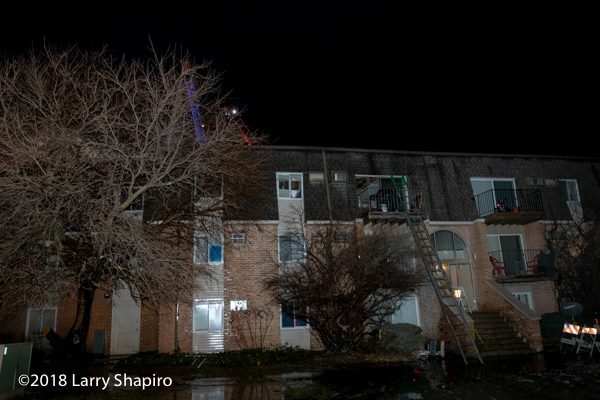 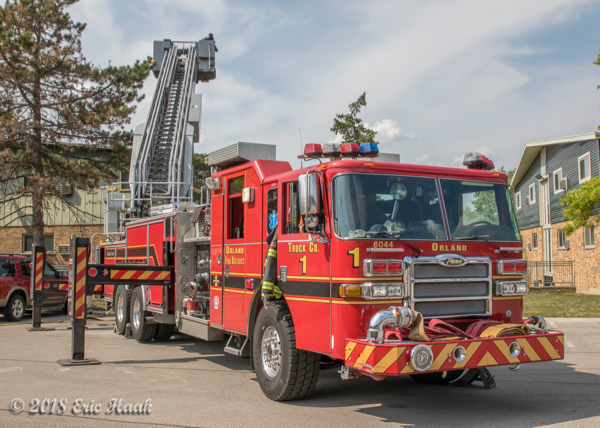 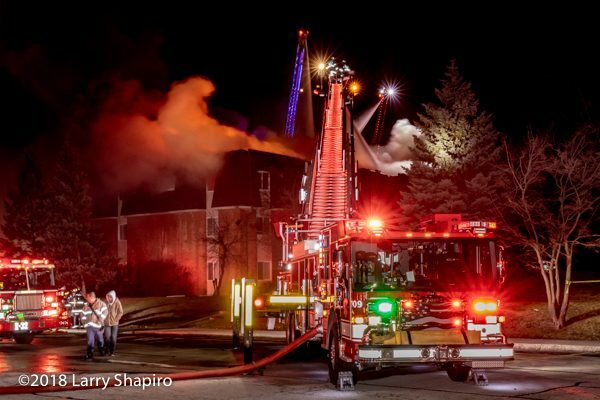 They eventually elevated the incident to a 4-Alarm fire which gutted the top floor and caused extensive damage to the first and second floors. 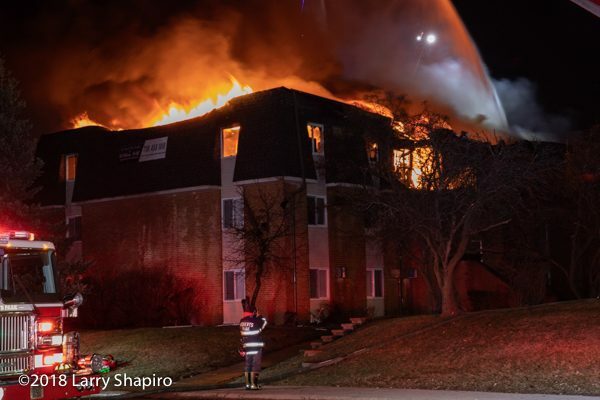 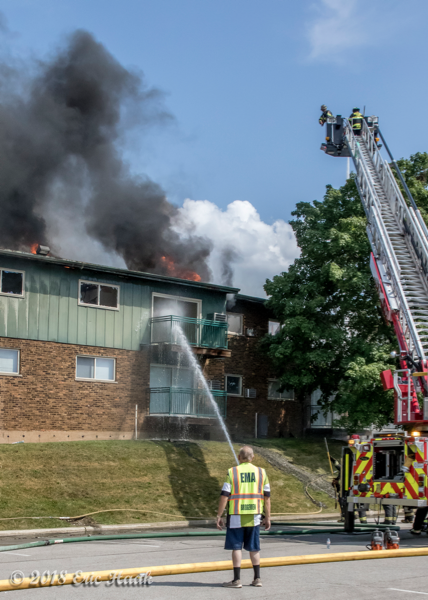 The fire was in the end section of three buildings separated by firewalls, and though fire did apparently get into one unit of the adjoining building, the remainder of that building plus the end building were saved. 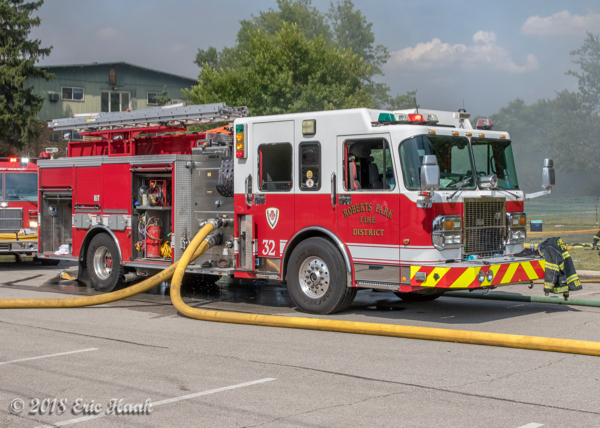 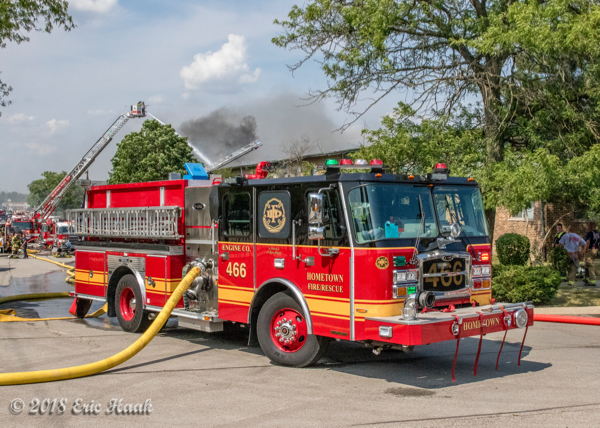 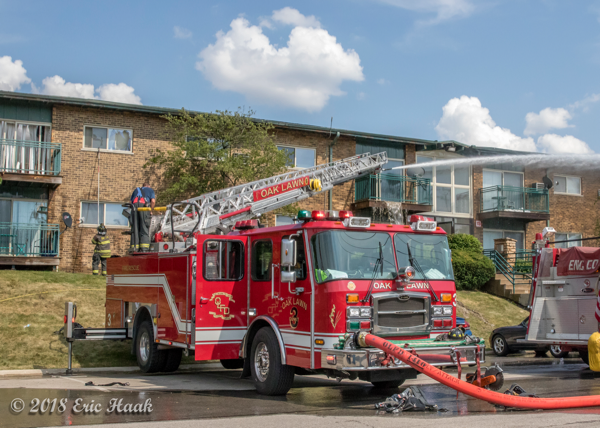 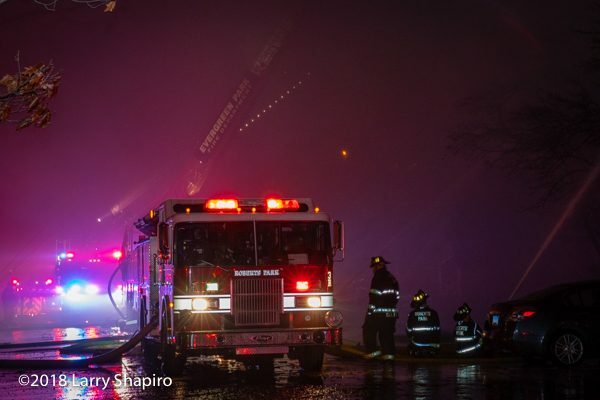 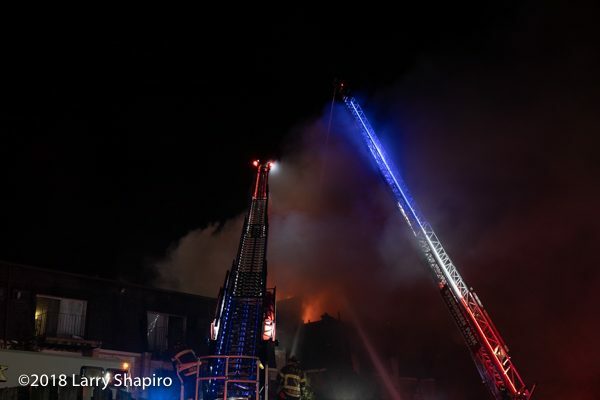 Elevated master streams from Bedford Park, Pleasantview, and Evergreen Park trucks on two sides of the building operated for several hours in addition to multiple large lines from the ground and deck guns from Roberts Park and Bridgeview engines.